Ted Bundy is arguably one of America's most notorious serial killers. He was convicted of murdering more than 30 young girls and women, and suspected of killing more before he was finally executed in 1989. Since then, he has been a constant source of fascination for both professional criminologists, artists, and members of the public. 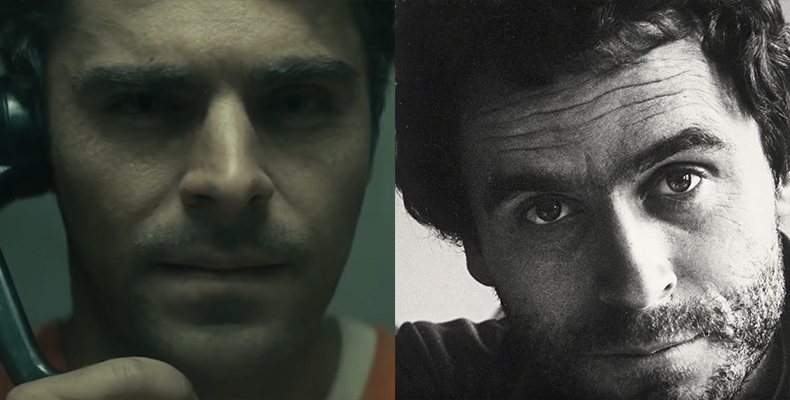 Two new releases exploring the life of Ted Bundy - Netflix's 'Conversations with a Killer: The Ted Bundy Tapes' and 'Extremely Wicked, Shockingly Evil and Vile' - are now currently screening. 'Conversations with a Killer: The Ted Bundy Tapes' arrived on the 30th anniversary of Bundy’s execution and features hours of never-before-heard audio interviews of Bundy himself. Viewers have been forewarned by Netflix - "Don't watch it alone" - that watching the documentary series is a positively spine-thrilling and downright unsettling experience. So, be warned. The 4-part series is created and directed by documentary filmmaker Joe Berlinger, well known for making true crime documentaries. It is available for viewing on Netflix. Watch it here. Berlinger is also responsible for directing the feature film 'Extremely Wicked, Shockingly Evil and Vile', starring High School Musical heart-throb Zac Efron as the eponymous serial killer. Lily Collins ('To the Bone') stars as Elizabeth Kloepfer, Bundy's supportive girlfriend, alongside John Malkovich and Jim Parsons ('Big Bang Theory'). The film had its world premiere at the Sundance Film Festival a few days ago. 'Extremely Wicked, Shockingly Evil and Vile' does not have a Singapore release date at the moment.